A good mobile has the ability to connect people, even if they are far away from each other. This is the message of TP - Link Neffos Chinese mobile brand’s commercial film. Thankfully the production of this film also reconnected us with an old client of ours, the Chinese Filmplexe production company with whom we now had the opportunity to collaborate with again after 3 years. TP-Link’s latest mobile brand Neffos was specifically designed for the European market and was presented by one of TP-Link’s founders at a large-scale technological conference in Berlin, Germany. It is at this conference that they screened this film, then it also appeared on Neffos’ website in a priority role. Our friendship with Filmplexe, as well as our work relationship, next to the European talents, locations, as well as the Hungarian director recommended by our team, have all contributed to the production taking place in Hungary, with the cooperation of Progressive Productions. 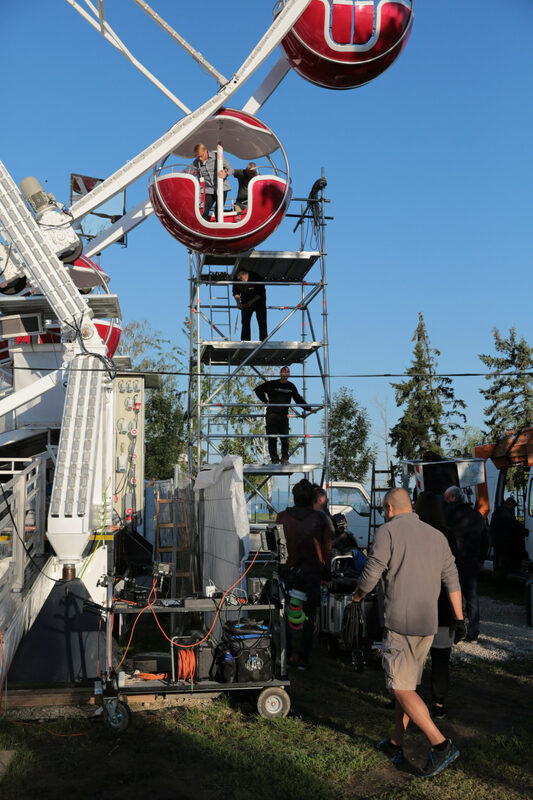 The three most important elements during the production was the creation of the director’s story, as well as finding the sufficient talents and locations. Acquiring the appropriate locations and talents was the result of Progressive Talents’ and Progressive Locations’ outstanding work. The casting went on for multiple weeks in which the best 16 were chosen out of 400 preselected applicants. The best perfectly fitted the creators’ visions. The two day long shoot went on in Budapest and in a small, waterside city in the countryside called Siófok. There were 8 locations. Yet again, we were happy to have experienced that countryside cities are at least as open to shootings as the capital city Budapest. This production yet again proves that Progressive Productions is one of a kind among the other Hungarian production companies, due to its talents and locations being of such high quality, that can not be executed on the freelance market. During the production we could work with such a local director who has a great deal of experience in directing national telecommunication adverts. During the intimate work process he opened many new and exciting paths to us. This is because we had the opportunity to develop the creative concept with the director, therefor we also assisted in evolving the story, not only providing production support. According to our experiences, the merging of the production and creative processes, the close cooperation of the director and the producers always results in high quality productions. Progressive Productions tries to embed these views into more and more productions. Next to the crew being 100% Hungarian, a part of the afterworks - the editing and colouring - was also done in Hungary. This is precisely why our client spent nearly two weeks, instead of a few days in Hungary. This country has many opportunities, not only regarding shooting, but also for tourists: cultural programs and music festivals, as well as Progressive Productions’ Team always being up to organising so called “film tours”, during which we show the film facilities, which can be interesting and useful in the future. It was our pleasure that the Ogilvy and Filmplexe team made the most of these opportunities and enjoyed them all. Thanks to this, they spent an extraordinarily rich two weeks with us. Also, due to the direct flight between Budapest and Beijing, the large distance was bridged easily and swiftly. We are proud that a previous partner of ours has yet again chosen Progressive Productions, as well as the Hungarian locations, a director, crewmembers and talents for the realisation of their commercial.